Willing to invest in North America or India to Support client. 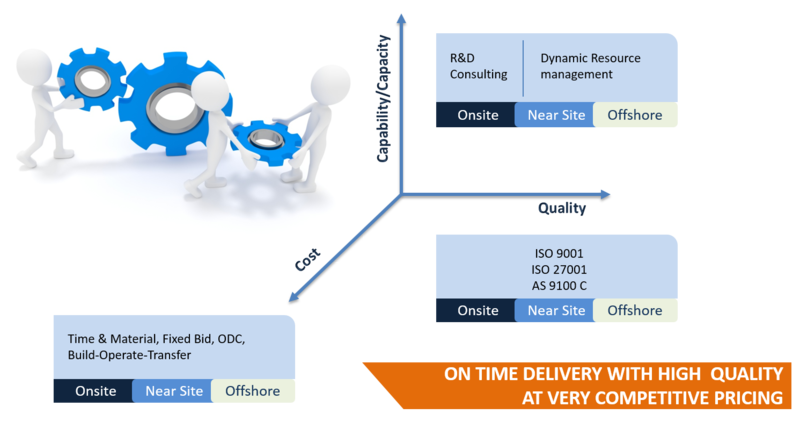 Most Competitive Offshore Engineering Service Rates. 1.5 Time Defense offset mitigation. Experience and expertise, coupled with exemplary customer support. Wide and complete range of offerings. Perfect size – large enough to provide the scope and scale, but small enough to be customer focused and assure the quality of each engineer.